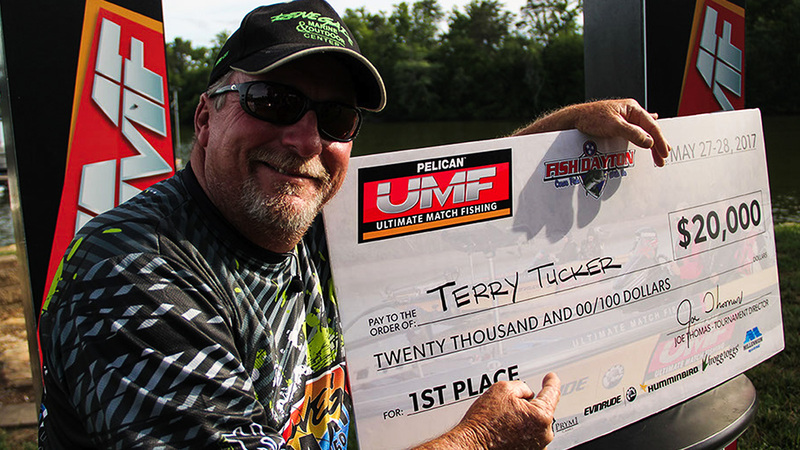 Terry Tucker of Gadsden, Alabama won the inaugural Pelicanʼs Ultimate Match Fishing Invitational fishing tournament on Chickamauga Lake. 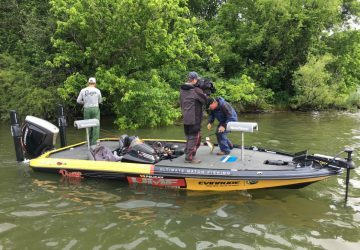 The event took place May 27 and 28 on Lake Chickamauga with anglers fishing out of Dayton, Tennessee. The field, consisting of the top BFL anglers in the nation, competed in a standard tournament format on day one with the two top finishers competing head-to-head on day two under Ultimate Match Fishing rules for the top prize of $20,000 dollars and a chance to fish against the top FLW and BASS Elite Series pro anglers on Pelicanʼs Ultimate Match Fishing on Outdoor Channel in 2018. Jimmy Washam of Covington, Tennessee took first place on day one with a 5-bass limit of 21.61 pounds. Tucker finished day one in second place with 21.36 pounds. 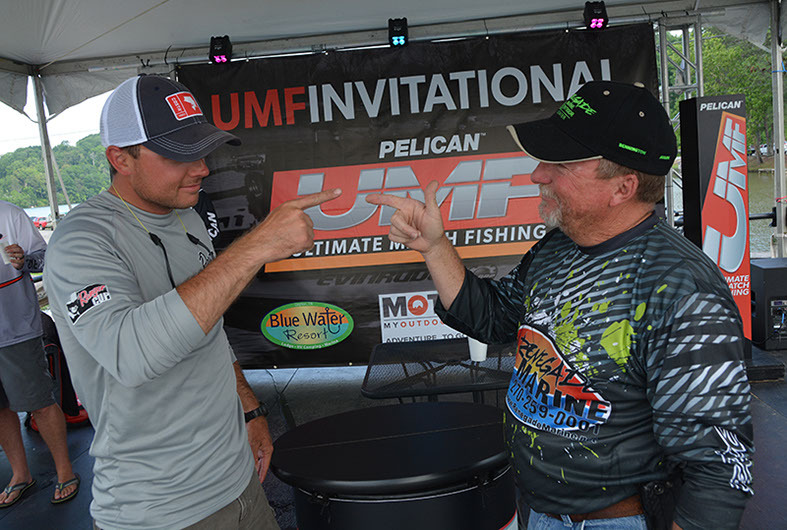 The first and second place anglers, Washam and Tucker, met again on day two, competing head-to-head under UMF format rules. For four grueling 90-minute quarters Washam and Tucker battled under the watchful eye of UMF Referee Mark Randolph with UMF hosts Fish Fishburne and Joe Thomas calling the play by play. In the end, Tucker overcame 2 full pounds of penalties to narrowly edge Jimmy Washam by just over a pound. 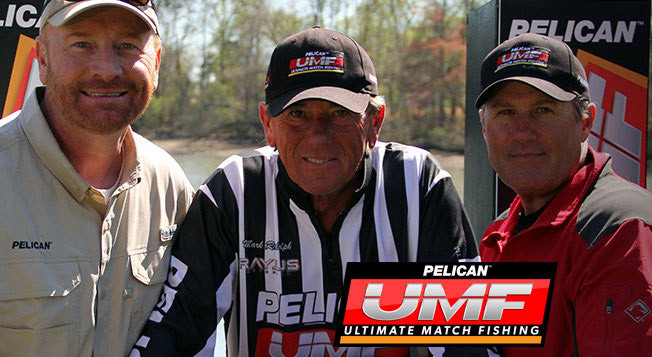 The entire match will air later this year exclusively on Outdoor Channelʼs streaming site. With the victory, Tucker pockets $20,000 dollars and a birth in Pelicanʼs Ultimate Match Fishing in 2018 to fish against the top professional bass anglers from both the FLW Tour and the BASS Elite Series to air exclusively on Outdoor Channel. 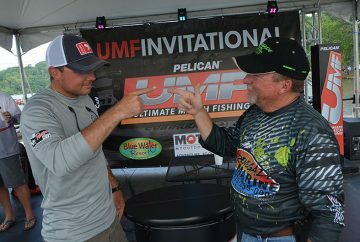 See the full tournament results at www.ultimatematchfishing.com. 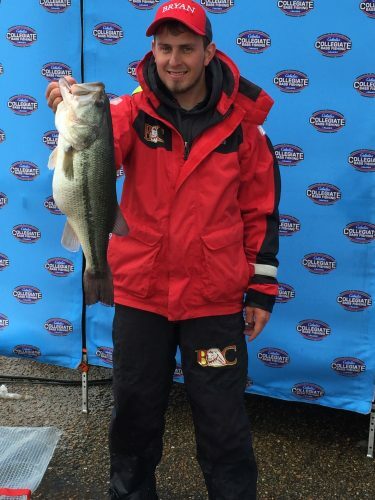 Dayton, Tenn. — The temperature dropped drastically and the snow turned Kentucky Lake into a whiteout over the weekend, but that didn’t hinder the Bryan College Lions Fishing Team who weathered the wintry mix and battled their way to 7th and 15th place finishes at the Cabela’s Collegiate Big Bass Bash presented by Berkley on Saturday, Mar. 11, to surge ahead of the competition and dethrone Auburn University (Ala.) and claim the No. 1 spot in the country. The format of the 2017 Big Bass Bash had already been changed from a two-day event to a one-day event due the chance of inclement weather. 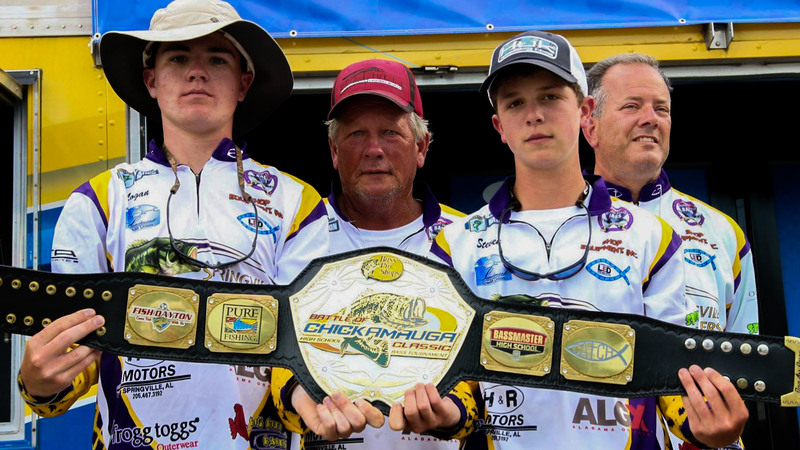 The previous standings for Cabela’s School of the Year had University of Alabama, University of North Alabama, and University of South Carolina also ahead of Bryan, but the 513 points awarded to Nathan Bell (SR/Riceville, Tenn.) for his 6.81lber and 505 points given to Dylan Pritchett (JR/Evensville, Tenn.) after his 6.39lb catch helped the young Lions program make a rippling splash in collegiate fishing to lead the race for School of the Year. In just their third year in existence, Bryan has fished their way through a tough body of water with no divisions or conferences, meaning that all schools in the nation are facing off for the Cabela’s School of the Year title. The 634 points compiled before the Big Bass Bash grew by more than a grand with the Lions now at 1,652 for the year. 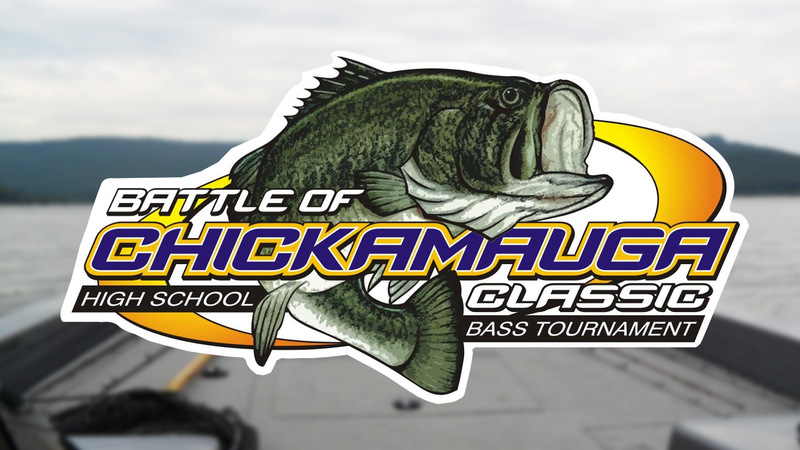 The Big Bass Bash is a highly anticipated event for the schools vying for School of the Year, because of the large field of anglers that enter the event, which in turn allows for a large amount of points to be earned. The prize gets even sweeter with Cabela’s taking the top two finishes of each team, and each angler is considered a team. “You have to do well at the Big Bass Bash for a chance at becoming School of the Year,” explained Bell. 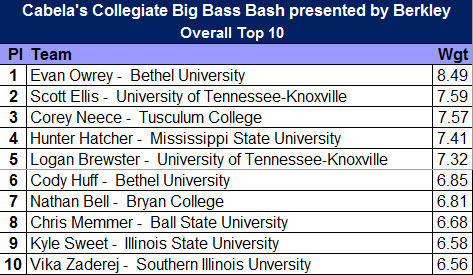 Even though fellow rival Bethel University (Tenn.) took the top honors with an 8.49lber and placed 6th with a 6.85lber, they closed the gap by only 15 points. Consistency has been key for the Lions with top finishes in every tournament this season, and that will play a major role in Bryan guarding the number one ranking. The tournament was broke into eight sessions, and the top-10 in each would win prizes. Bryan’s Dylan Kear (JR/Clinton, Tenn.) was the only one on the team to land a large enough fish to place through the first two sessions. Pritchett helped Bryan feel more comfortable when he placed 3rd in session three presented by Cabela’s with one of the 6lbers that Bell said the Lions would need. It wasn’t until session six that Connor Cohran (FR/Dalton, Ga.) and Jonathan Peck broke the silence with fish that neared the 5lb mark for 6th and 7th finishes during that particular weigh-in. Up next for the Lions, they travel to Lake Hartwell in Hartwell, S.C. this weekend for the FLW Southeastern Regional on Saturday, Mar. 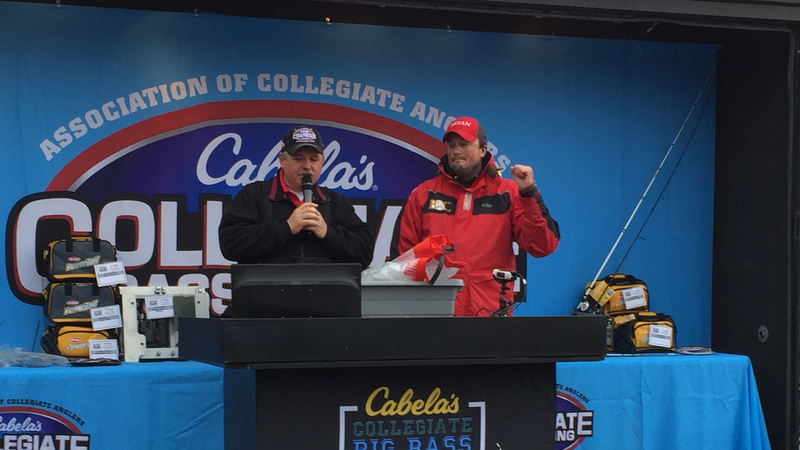 18, and follow it up with the Cabela’s College Open on Lake Dardanelle in Russellville, Ark. next Saturday, Mar. 25. One special fish could win a new boat and loads of cash at Bass Pro Shops’ Big Bass Tour this weekend in Dayton, Tennessee. 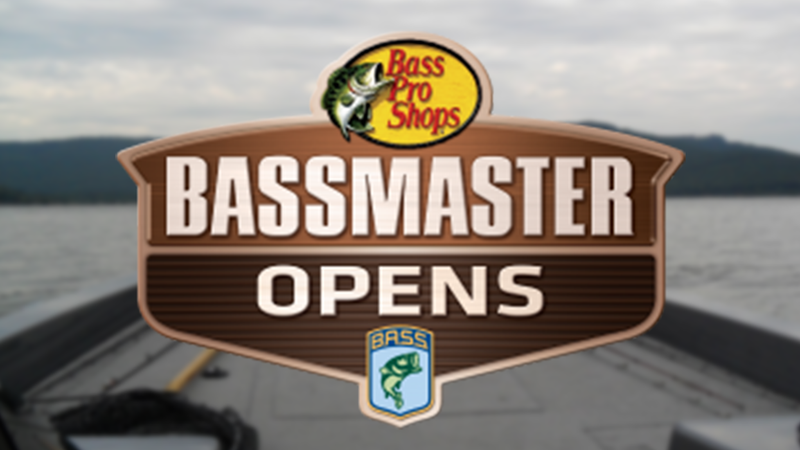 Lake Chickamauga is the seventh stop in the nation’s premier big bass tournament series brought to you by industry giants such as Bass Pro Shops, Nitro Boats, GoPro, Huk Performance Fishing, Shimano, Mercury, and Oakley. “Anyone can win this one. You need one big bite. 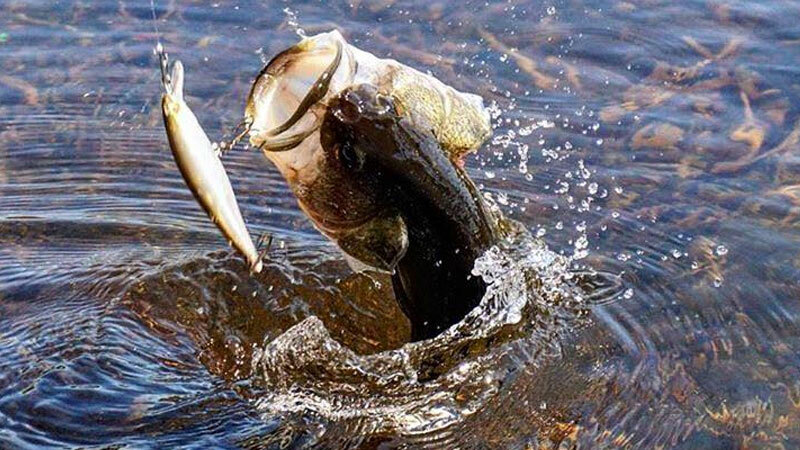 One cast, one big bass. This one here is anyone’s ballgame,” says local lunker hunter Chad Reel, who won Rhea Medical Foundation’s Big Bass Tourney last May with an 8.27 pound largemouth. Reel and long-time partner Kevin Burnett say they are yet to fish a tournament this year, but this one’s too good to pass up. Over $3,000 will be awarded each hour to the top ten bass with biggest paying $1,000. 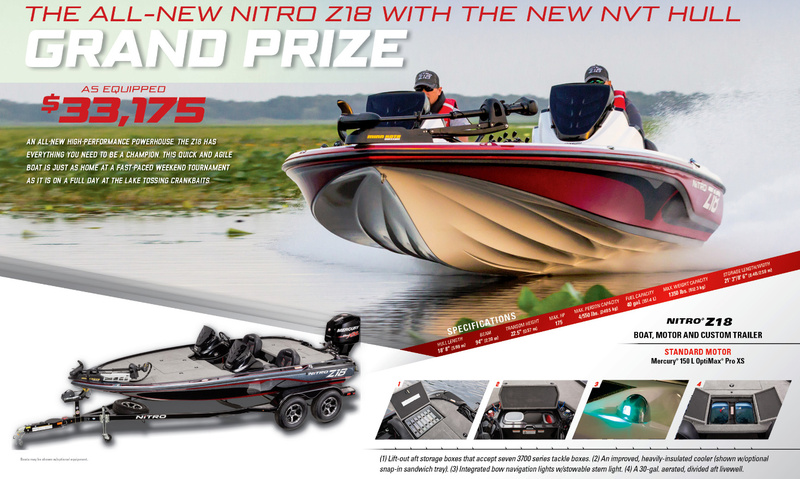 Add the grand prize, 2016 Nitro Z18 with a Mercury 150HP ProXS motor ($33,175 as equipped), and it’s easy to see why this has become the hottest big bass series in the nation. “Don’t focus on catching numbers. Throw the biggest bait in your tackle box all day,” is Neal’s best advice for anglers hoping to drive away with that new Nitro Z18. Out of six events thus far in 2016, the largest bass in the series was caught prespawn (February 27-28) on the Harris Chain of Lakes (FL) weighing in at 8.94 pounds. 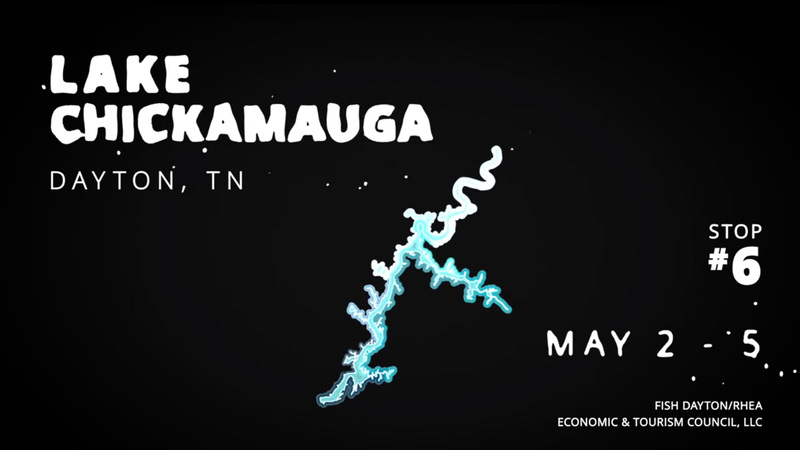 This is a great opportunity for Lake Chickamauga to show the nation what we’re all about. If last weekend’s Morristown Marine Tournament (195 boats) is any indication, Lake Chickamauga will shatter that amount. Josh Roark and partner Allen Smith (Morristown, TN) brought a 10.17 pounder to the scales, and we won’t mention the 12 plus pounder caught James Gobel of Bean Station (TN) earlier last week. 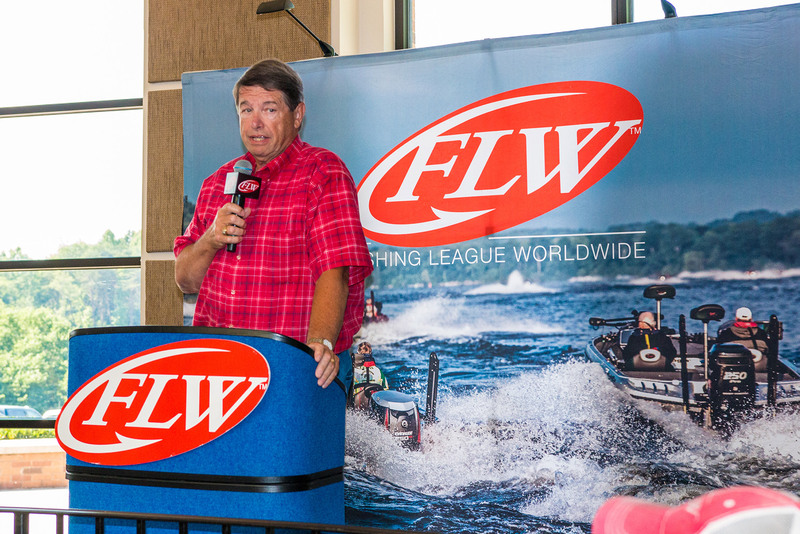 “It will definitely take at least 10.5 to 11.5 to win,” says FLW Pro Michael Neal who has a front row seat to current lake trends as proprietor of Dayton Boat Dock, a hub for area anglers and the venue for this event. Rhea County’s Economic and Tourism Director Dennis Tumlin says Lake Chick has risen to every occasion and hopes it will shine again this weekend. For more details, visit bigbasstour.com.